In one of my earlier posts, I remember mentioning how 2012 has been a health - disaster year for me and the same continued... 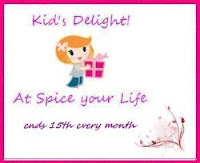 But now hopefully it's all good and I am back to cooking.. blogging.. sharing :)) .. so I thot this post should be something sweet ... 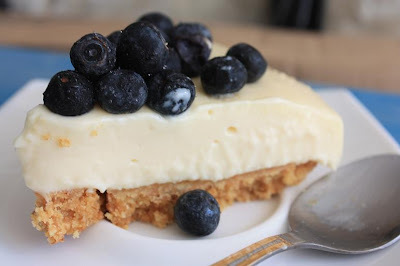 Thus, sharing my recipe of CHEESECAKE with you... served with fresh BLUEBERRIES..
Crush Biscuits until powdered - add melted butter and mix well with your hand. 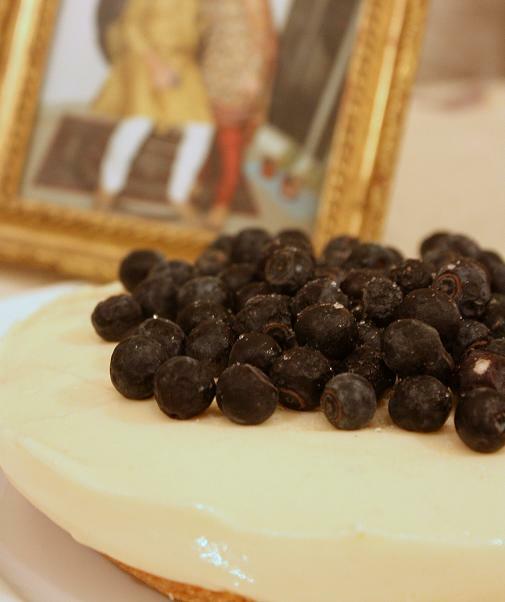 To set a cheesecake, you could either use a cake tin with detachable base or a round glass bowl with a flat base. In case you are using a round glass bowl, line the inner side of the bowl with aluminium foil (this will help in de-moulding the cake later). I used a flat base glass serving dish and lined it with foil. Spread the buttered crushed biscuit and press it well with a back of a spoon. Refrigerate for 15 mins. Once set, de-mould by pulling the cake out gently along with the foil. The foil can then be removed. Our Cheesecake is ready.. it can be topped with Blueberries.. Strawberries.. Chocolate Flakes.. any topping of your choice.. 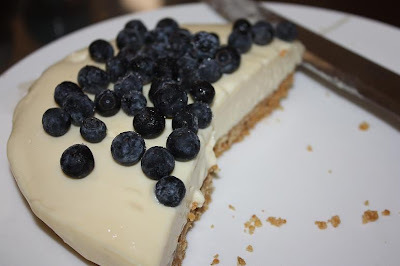 I used Blueberries :)) .. slice and serve.. 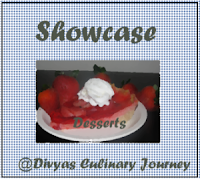 Linking this recipe to Divya's Showcase - Desserts event..
With those blueberries, cheesecake looks super catchy and fantastic.